The Concord Point Lighthouse was given to the City of Havre de Grace in 1977. It fell into a severe state of neglect and was eventually burglarized with loss of the original 5th order Fresnel lens. In 1979, amid calls for the destruction of the Lighthouse, three separate individuals, Anna Long, Arnie Stackhouse and Jane Jacksteit, visited City Hall to raise concern for the historic structure. Paula Lowe, a Maryland Historical Trust staffer working at the request of Mayor Charles Montgomery, arranged for them to meet. They agreed to form a citizen’s group to save the Lighthouse. Joined by Al Marini and Lois Crandall, they founded the Friends of Concord Point Lighthouse in June 1979 and received stewardship rights to the Lighthouse. Their mission was to restore the Lighthouse and preserve it for future generations. Initially they sought to become a commission of the city government and seek only private donations. However, new member and advisor, City Councilman David Craig, urged them to become a nonprofit corporation to facilitate receipt of grant funding. In November 1979, they formed a 501c3 corporation with the help of Arnold Paffenbach, Esq. who donated legal services. These six founders served as the first Board of Directors, electing Anna Long- President, Arnie Stackhouse-Vice-President, Lois Crandall-Treasurer, and Jane Jacksteit-Secretary. The strategy of the founders of the Friends was to engage the interest of the local community and stress the importance of the Lighthouse as an icon of the City. New members and volunteers soon joined in the effort. On July 22, 1979, just weeks after organizing, they hosted the first “open house” for visitors. Volunteers cleaned, scraped paint, hauled trash and made cookies. The local McDonalds franchise donated beverages. The event began a growth in community love and pride in the Lighthouse that continues today. Restoration of the Lighthouse occupied the first few years of the organization. Fund raising efforts included the sale of James Warner photographs, the Spring Plant and Flower Sale, sale of gift items at the Lighthouse, membership fees and private donations. Mayor Charles Montgomery was instrumental in helping to secure a grant from the Maryland Historical Trust (MHT). The tower restoration was begun in May of 1981 and completed by the next year. The Friends finally located a replacement 5th Order Fresnel Lens in June of 1983. Using a Senior Citizens van from the City, volunteers transported the bubble-wrapped lens from the St. Michael’s Maritime Museum to Havre de Grace. The lens had to remain in the living room of President Long until the following May when engineers from Aberdeen Proving Ground constructed and installed a base capable of holding the weighty lens. On May 20, 1984, the fully restored Concord Point Lighthouse was dedicated in a ceremony attended by State Treasurer William S. James. A plan to rehabilitate the grounds, developed largely by Arnie Stackhouse, was phased in over several years. Key assistance was received from the Havre de Grace Rotary Club and the Lions Club. Volunteers who donated countless hours to the landscape and tower maintenance, included Al Marini and grandson Joey, Joe Guzman, Tom Cannazzaro, John Carroll, and Charles Carter, In 1988, the Lighthouse property was finally completed when brick sidewalks from the Lions Club and sod from the Aldino Sod Farm replaced the parking lot in front of the tower. In 1985, Anna Long resigned as president after 6 years of dedicated service. Anna continued to advocate for the lighthouse after being elected to the Havre de Grace City Council. Al Marini was elected as president in 1985, followed by Jane Jacksteit in 1987, and Elsie Stackhouse in 1989. It was during these years that the organization expanded its mission to include the original keeper’s house. During the lighthouse restoration, the Friends became convinced that the derelict bar across Concord Street was the original keeper’s house. The property acquisition was set in motion by then Mayor David Craig and funded by the State of Maryland. In 1988, the Friends agreed to take responsibility for the restoration with estimated costs of $500,000. Acquiring grants and other funding became their top priority. An initial MHT grant in 1988 paid for investigation and stabilization of the building. Plans for reconstruction were developed, but little progress was made until funding could be secured. In 1994, a corpse was discovered in the boarded up structure, prompting then Mayor Gunther Hirsch to call for its demolition. Fortunately, the MHT easement prohibited destruction of the historic structure by the City. 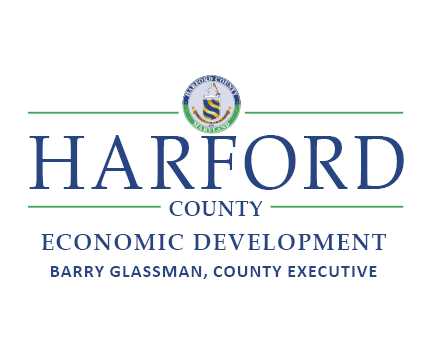 The project took over a decade to complete, funded by grants from the State of Maryland, fundraising, private donations and the support of Harford County and the City of Havre de Grace. In 1997, Carol McIntyre became president, followed by Marie Garske in 1999. During these years the modern additions that entombed the original structure were removed and preparations for reconstruction were made. The Friends opted to rebuild the 1884 version of the house so that the second story could be retained to provide needed storage and office space. During the late 90’s a controversial plan to build a restaurant next to the Lighthouse fueled debate and conflict within the organization. The Friends finally united to oppose construction in order to preserve the beauty of the waterfront and Lighthouse. In 2001, John Narvell and Jim Gilbert were elected co-presidents, and took on the construction phase of the restoration. Plans to open the keeper’s dwelling to the public were delayed by flooding from Hurricane Isabel in 2003. FEMA funds helped to repair the flood damage, and by 2005 the house was finally opened to the public. John Narvell continued as president in 2004, followed by Tammy Brinkman in 2006. By 2007, the critical need of the organization was volunteers, from docents to board members. Many of the dedicated volunteers over the years had aged and were unable to continue their service. The addition of the keeper’s house had more than doubled the volunteer hours needed to meet the organization’s obligations. In the past years, a new push for members and volunteers has resulted in a reinvigorated board of directors and a growing organization.